We are excited to announce that we will soon be partnering with fellow South African startup AgriSense. 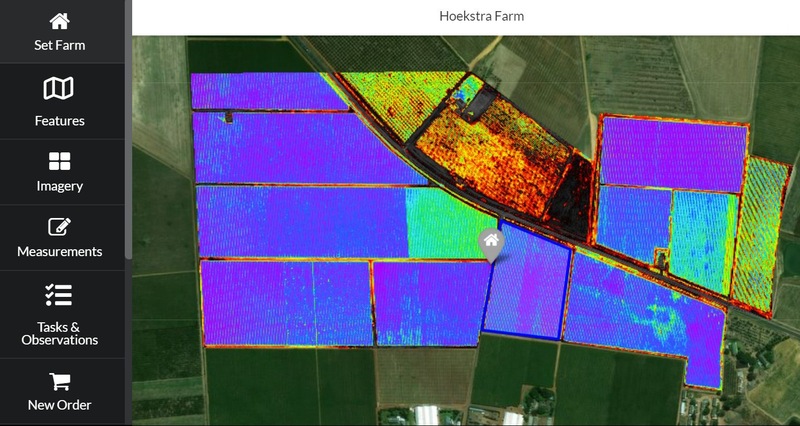 They will offer a service whereby they'll host imagery generated by our clients and provide a host of value-adds such as: (1) other vegetation indices such as Green NDVI, Simple Ratio, DVI and SAVI (Soil Adjusted Vegetation Index). (2) Measurements on the field. (3) Variable prescription application maps, for optimal use of fertilizer and agro-chemicals. The AgriSense service will be available over mobile devices or normal computer. It will be an optional add-on to the AgriDrone System and will require a subscription directly to AgriSense. At this point, the service is still in testing and we will make an announcement as soon as it is available. We are proud to present a comparison of satellite NDVI (from the Fruitlook service) and our AgriDrone NDVI for a field of potatoes for the same day. 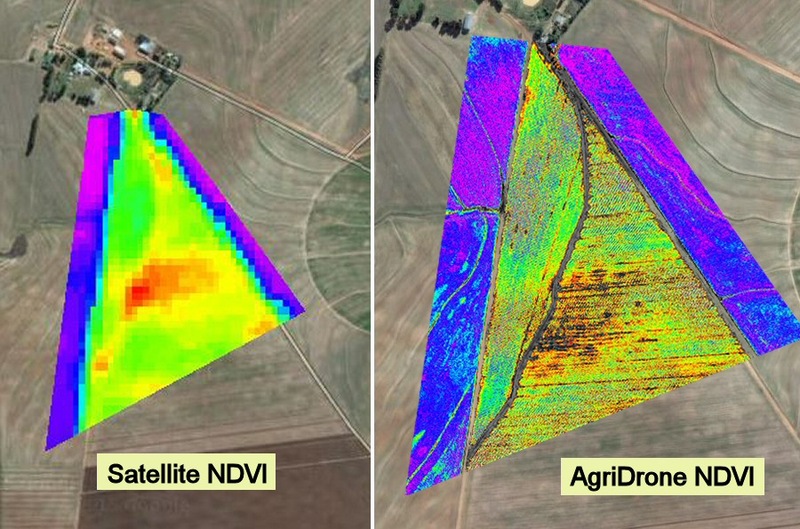 To make this NDVI we created a new spectrum lookup table, to match that of the satellite NDVI. The correspondence is remarkable except that the AgriDrone NDVI is much higher resolution and does not contain 'edge bias' errors. To clarify, the lookup table runs from red (low NDVI) to green (mid NDVI) to purple (high NDVI). The potato field is flanked by barley, which having a much higher leaf area shows much higher NDVI. However, within the potato field it is clear the main stressed area is the patch in the lower middle. 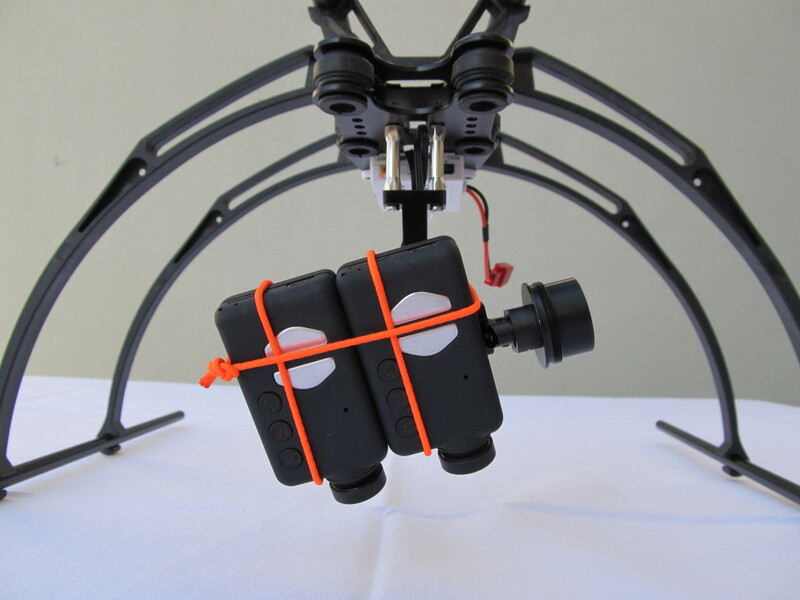 New Brushless Gimbal Now Standard!